Mike the visiting farmer gets a visit from the Congressman. L to R: Mike, Margie Pikarsky, Joe Garcia, Mike Dill, Kevin Chambliss. Photo by Nicole Fiori. It’s not every day that a politician stops by Bee Heaven Farm. But back in January, on a gray drizzly afternoon, Congressman Joe Garcia and some of his staff came to pay a visit with farmer Margie Pikarsky, one of his constituents. “He’s making a real point of talking to farmers,” Margie told me. 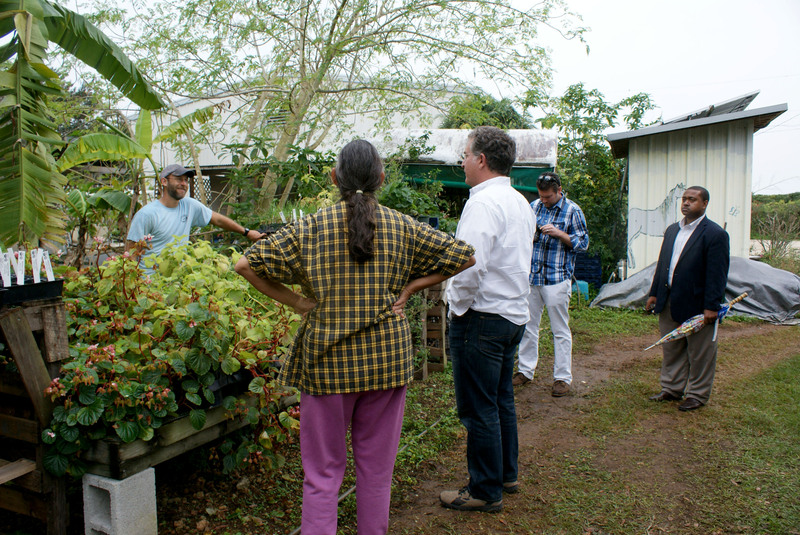 “Finding out what we do, what we need, what we want, and how to help.” She said he mentioned that he’s working on a series of visits with all the organic growers in Redland to get their input. 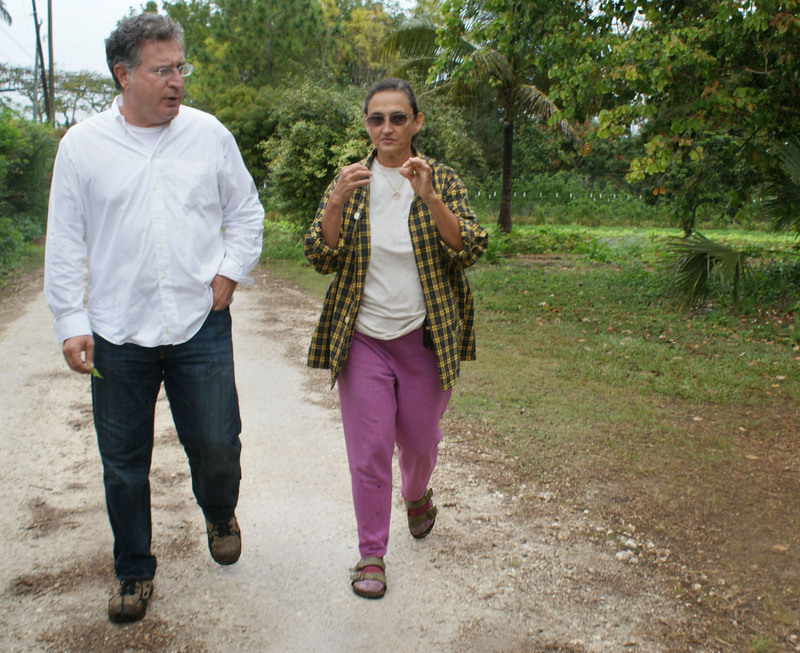 Joe Garcia and Margie Pikarsky walking and talking at Bee Heaven Farm. Photo by Nicole Fiori. And so Margie took the Congressman on a tour of her farm. They strolled around and stopped to smell aromatic allspice leaves, taste delicate pei tsai greens, and spoke about various topics impacting agriculture — NAFTA, immigration labor, and two insect borne diseases — laurel wilt and citrus greening — which are threatening to destroy Florida’s avocado and citrus crops. Read more about the Congressman’s visit here. 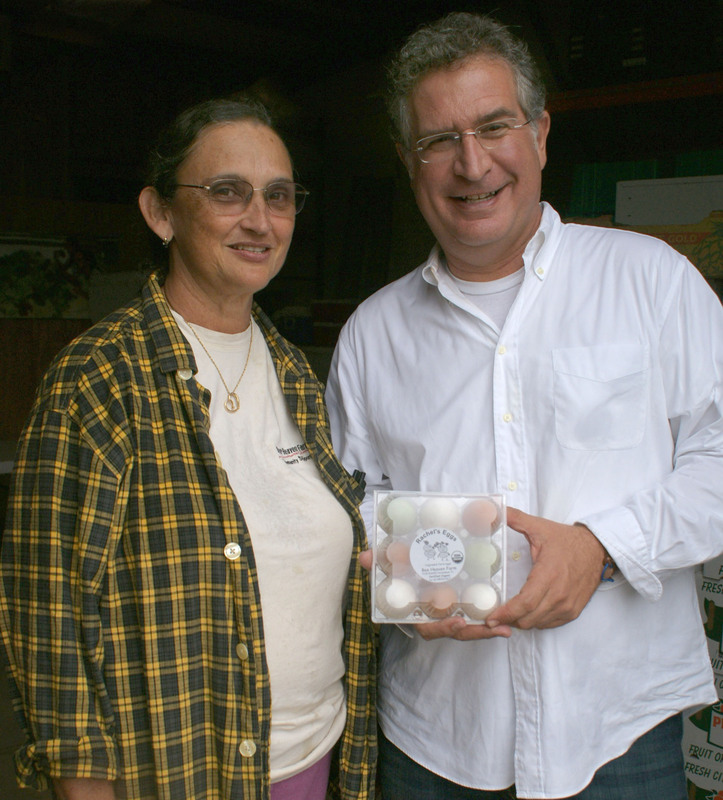 Farmer Margie Pikarsky and Congressman Joe Garcia, with a package of Rachel’s Eggs. Photo by Nicole Fiori.